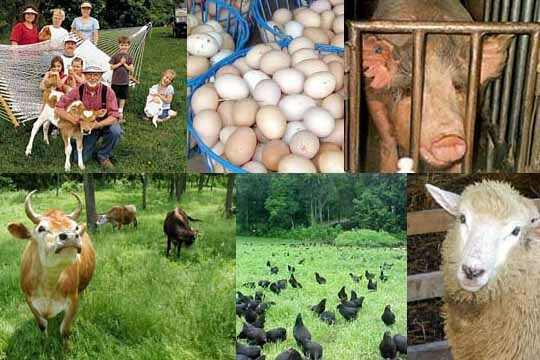 Springfield Farm is a 67-acre tract of farmland that specializes in free-range animals — chickens, ducks, geese, sheep, rabbits, pigs and cows — tended to using sustainable-agriculture methods. No hormones, antibiotics or chemicals are used at the farm, which pledges in its mission statement to "follow a holistic approach to the greatest extent possible." In addition to its food and dairy products, Springfield Farm also offers landscaping, farm equipment, and snow-removal services.